A question many a house owner asks in York about Rewiring a house is Do I need A rewire on my York house and more often potential house buyers in York ask themselves before buying a house in York or selling a house in York is does it need a rewire?. 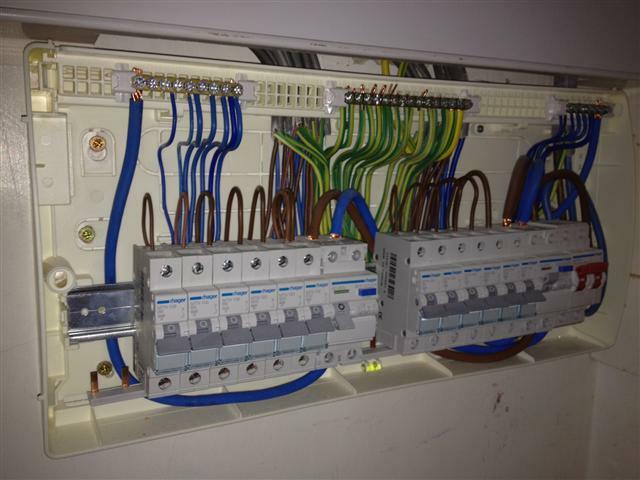 Often the answer is not simple and requires a visit from a Electrical Contractor in York such as Electrical Services, as some parts of the installation maybe satisfactory, others not so therefore we need to visually inspect it. Some older properties may have had modifications carried out while different (i.e.. older) versions of the Wiring Regulations were in force and are now in need of improvement due to the DIY element of current or previous home owners that do not comply to the regulations. Contact Electricians York for reassurance and expert advice on 0800 7797472 We are happy to talk over the phone and from information gained from talking to you we can advise you on the next course of action. My team will rewire your York Home whatever the specification you require for a fixed cost, we will use floor coverings to protect your floor and plastic to protect your furniture, we will leave power on every day during the rewire and make the process as comfortable as possible. We dedicate 2 to 3 electricians into the rewire and also do the plaster patch up to finishing standards during the rewire to save you the hassle. All our rewires come with a 10 year guarentee for everything we install for you along with full Part P and building control certification. Call Marc for details and fixed pricing specifications for your home electrical rewire in York.